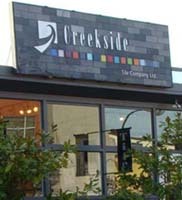 About Us - Creekside Tile Company Ltd.
Creekside Tile Company first opened its doors on the edge of False Creek in the late 1990s. It was our goal to create a unique tile experience for the Interior Designer, for the Contractor, and for the Do-It-Your-Self tile shoppers. We soon recognized the need and the ability to customize the product when creating that special space. So began the process of sourcing tile manufactures which created standard tile lines, but also manufacturers which customize their tile lines. Today we import our tiles factory direct from around the world. We pride ourselves on the fact that we have become not only an importer of fine tile, but also a tile resource in the Interior Design community. Tile and design is our passion, but recognize the importance of budgets and deadlines. By working directly with the factories and our network of expert freight handlers, we will ensure that your order will be on time and on budget. Creekside Tile Company Ltd | Disclaimer | Copyright 2019.